A big warm welcome to the Hawke's Bay Holiday Park. 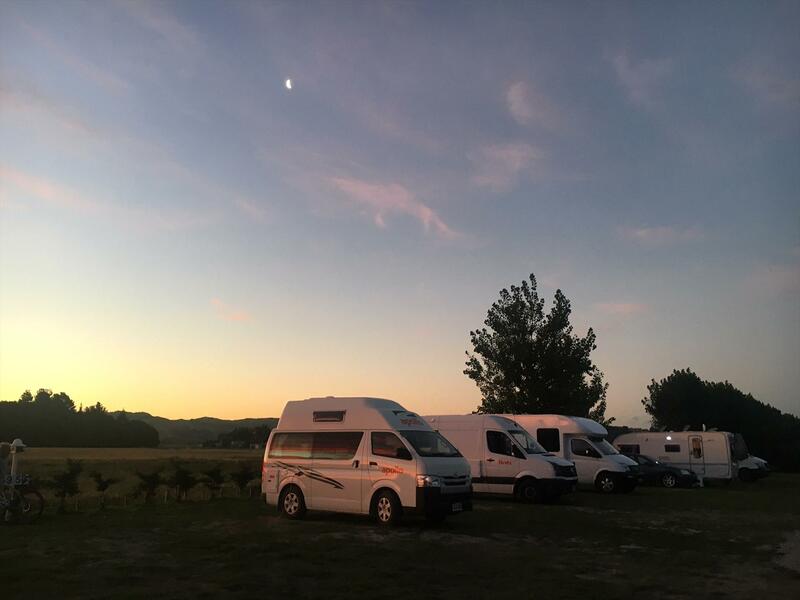 Located only 6km from Napier by car or 30 minutes on the fantastic Hawke's Bay cycle ways, our holiday park has been designed with motorhomes, campervans, caravans and tents in mind. Our park is small and intimate but with large spacious sites and is very well positioned to take advantage of all that Hawke's Bay has to offer. We are in walking distance from the fantastic Crab Farm Winery for which we have a reserved table for our guests who wish to dine there on Friday evenings, when they are open for dinner. We are only 5-minutes drive away from the famous Mission Estate Winery and Church Road Winery. Directly over the road we have access to tennis courts, lawn bowls, pistol shooting and a children's playground. Summer fruit and produce stalls, supplying Hawke's Bay's finest, are in walking distance just north of us. There is a surf casting beach 300 metres away that is lovely for either a leisurely morning and evening walk or a jog. We would love to be your hosts while you explore the beautiful Hawke's Bay region and we hope to make your stay a spectacular experience..
A big warm welcome to the Hawke's Bay Holiday Park. Located only 6km from Napier by car or 30 minutes on the fantastic Hawke's Bay . . . More . . .